Have the Trump years turned Cher into a Republican? Well, probably not. Most of her Twitter feed is littered with examples of the treachery of the Trump administration, usually with weird punctuation and run-on sentences that make it seem like she’s digitally shouting at you. In other words, par for the course for someone who said she would have to “leave the planet” if Trump won. The Antitrust Division warns that the proposed changes may be designed to shut out Netflix and other potential competitors. I know this is just text, but I get a migraine just trying to parse it. So, no, we’re not dealing with a secret conservative here. But then again, even Cher can apparently understand severe governmental dysfunction when she sees it in action. And lo and behold, she lives in Los Angeles, in the state of California — two entities not known for being functional. 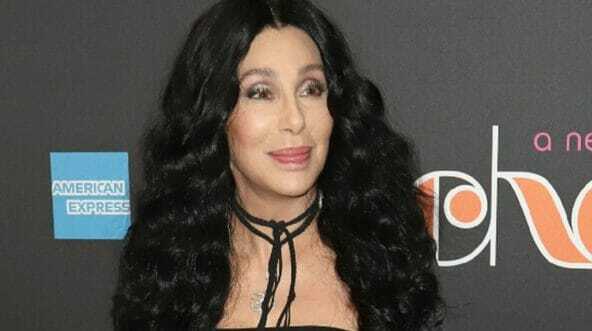 “I Understand Helping struggling Immigrants,but MY CITY (Los Angeles) ISNT TAKING CARE OF ITS OWN.WHAT ABOUT THE 50,000+ (American flag emoji) Citizens WHO LIVE ON THE STREETS,” Cher bellowed into the Twitter void on Sunday. California spends a lot of money on illegal immigrants, Los Angeles in particular. As for HER CITY (Los Angeles), we can note the fact that in two years — 2015 and 2016 — Los Angeles County spent an astounding $1.3 billion on welfare for illegal immigrants alone. Fox News reported in August of 2017 that data from the county’s Department of Public Social Services showed over 58,000 families received $602 million in benefits back in 2015. The next year, over 64,000 people received $675 million in benefits. Cher also has the statistics right: According to NPR, roughly 50,000 people are living on Los Angeles’ streets. That’s part of an estimated 130,000 individuals who were homeless in California on any given day. As for the state, it offers subsidized health insurance and in-state tuition to public universities to illegal immigrants — money which, Cher should agree, could go to other sources. Now that Cher is getting conserva-woke, perhaps she might realize this money would best be served going back to the people that earned it. California has seen a mass exodus of late, both in terms of people and businesses. The best way to solve the problem would be to make the state more business-friendly — and therefore job-friendly. Perhaps she could even come to the realization that California’s overregulation when it comes to housing is another reason why living in the state is so expensive — and why so many people are homeless. Of course, I don’t think Cher would get behind all of that. Baby steps, though. Baby steps. Now that she’s come to this realization regarding illegal immigration, perhaps we can get Cher to realize the all-caps thing isn’t really working for her. From there, we can just hope the rest falls into place.